Situated high up in the Black Mountains with a view in a million, this beautifully decorated, extremely comfortable hillside escape has a peaceful and restorative atmosphere. Great walking and trekking country, and close to Hay-on-Wye. 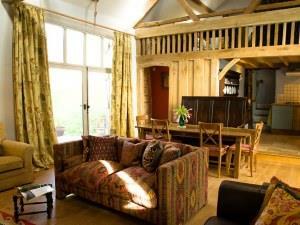 Suitable for 1 to 2 couples (plus 1 child and 1 infant in a cot) and up to 2 dogs.